This article, the first of a multi-part series, familiarises readers with Asterisk, which is a software implementation of a private branch exchange (PBX). Asterisk is a revolutionary open source platform started by Mark Spencer, and has shaken up the telecom world. This series is meant to familiarise you with it, and educate you enough to be a part of it in order to enjoy its many benefits. If you are a technology freak, you will be able to make your own PBX for your office or home after going through this series. As a middle level manager, you will be able to guide a techie to do the job, while senior level managers with a good appreciation of the technology and minimal costs involved would be in a position to direct somebody to set up an Asterisk PBX. If you are an entrepreneur, you can adopt one of the many business models with Asterisk. As you will see, it is worthwhile to at least evaluate the option. In 1999, Mark Spencer of Digium fame started a Linux technical support company with US$ 4000. Initially, he had to be very frugal; so buying one of those expensive PBXs was unthinkable. Instead, he started programming a PBX for his requirements. 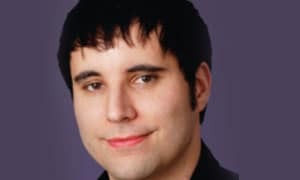 Later, he published the software as open source and a lot of others joined the community to further develop the software. The rest is history. Today, Asterisk claims to have 2 million downloads every year, and is running on over 1 million servers, with 1.3 million new endpoints created annually. A 2012 statistic by Eastern Management claims that 18 per cent of all PBX lines in North America are open source-based and the majority of them are on Asterisk. Indian companies have also started adopting Asterisk since a few years. The initial thrust was for international call centres. A large majority of the smaller call centres (50-100 seater) use Vicidial’, another open source application based on Asterisk. IP PBX penetration in the Indian market is not very high due to certain regulatory misinterpretations. Anyhow, this unclear environment is gradually getting clarity, and very soon, we will see an astronomic growth of Asterisk in the Indian market. The call centre boom also led to the development of the Asterisk ecosystem comprising Asterisk-based product companies, software supporters, hardware resellers, etc, across India. This presents a huge opportunity for entrepreneurs. Before starting, I would like to introduce some basic terms for the benefit of readers who are novices in this field. Let us start with the PBX or private branch exchange, which is the heart of all corporate communication. 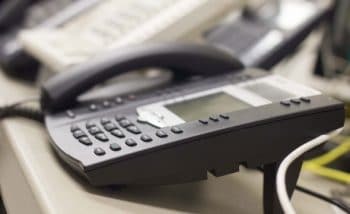 All the telephones seen in an office environment are connected to the PBX, which in turn connects you to the outside world. The internal telephones are called subscribers and the external lines are called trunk lines. The trunk lines connect the PBX to the outside world or the PSTN (Public Switched Telephony Network). Analogue trunks (FXOForeign eXchange Office) are based on very old analogue technology, which is still in use in our homes and in some companies. Digital trunk technology or ISDN (Integrated Services Digital Network) evolved in the 80s with mainly two types of connections  BRI (Basic Rate Interface) for SOHO (small office/ home office) use, and PRI (Primary Rate Interface) for corporate use. In India, analogue trunks are used for SOHO trunking, but BRI is no longer used at all. Anyhow, PRI is quite popular among companies. IP/SIP (Internet Protocol/Session Initiation Protocol) trunking has been used by international call centres for quite some time. Now, many private providers like Tata Telecom have started offering SIP trunking for domestic calls also. The option of GSM trunking through a GSM gateway using SIM cards is also quite popular, due to the flexibility offered in costs, prepaid options and network availability. The users connected to the PBX are called subscribers. Analogue telephones (FXS Foreign eXchange Subscriber) are still very commonly used and are the cheapest. As Asterisk is an IP PBX, we need a VoIP FXS gateway to convert the IP signals to analogue signals. Asterisk supports IP telephones, mainly using SIP. Nowadays, Wi-Fi clients are available even for smartphones, which enable the latter to work like extensions. These clients bring in a revolutionary transformation to the telephony landscape analogous to paperless offices and telephone-less desks. The same smartphone used to make calls over GSM networks becomes a dual-purpose phone also working like a desk extension. Just for a minute, consider the limitless possibilities enabled by this new transformed extension phone. Extension roaming: Employees can roam about anywhere in the office participate in a conference, visit a colleague, doctors can visit their in-patients and yet receive calls as if they were seated at their desks. External extensions: The employees could be at home, at a friend’s house, or even out making a purchase, and still receive the same calls, as if at their desks. Increased call accountability: Calls can be recorded and monitored for quality or security purposes at the PBX. Lower telephone costs: The volume of calls passing through the PBX makes it possible to negotiate with the service provider for better rates. The advantages that a roaming extension brings are many, which we will explore in more detail in subsequent editions. Let us look into the basics of Asterisk. Asterisk is like a box of Lego blocks for people who want to create communications applications. It includes all the building blocks needed to create a PBX, an IVR system, a conference bridge and virtually any other communications app you can imagine, says an excerpt from asterisk.org. Procure hardware interfaces for the trunk line and configure them. Procure hardware for subscribers and configure them. You’re then ready to make your calls. Procure a standard desktop or server hardware, based on Pentium, Xeon, i3, etc. RAM is an important factor, and could be 2GB, 4GB or 8GB. These two factors decide the number of concurrent calls. Hard disk capacity of 500GB or 1TB is mainly for space to store voice files for VoiceMail or VoiceLogger. The hard disk’s speed also influences the concurrent calls. The next step is to choose a suitable OSFedora, Debian, CentOS or Ubuntu are well suited for this purpose. After this, Asterisk software may be downloaded from www.asterisk.org/downloads/. Either the newest LTS (Long Term Support) release or the latest standard version can be downloaded. LTS versions are released once in four years. They are more stable, but have fewer features than the standard version, which is released once a year. Once the software is downloaded, the installation may be carried out as per the instructions provided. We’ll go into the details of the installation in later sessions. The download page also offers the option to download AsteriskNow, which is an ISO image of Linux, Asterisk and FreePBX GUI. If you prefer a very quick and simple installation without much flexibility, you may choose this variant. After the installation, one needs to create the trunks, users and set up some more features to be able to start using the system. The administrators can make these configurations directly into the dial plan, or there are GUIs like FreePBX, which enable easy administration. Depending on the type of trunk chosen, we need to procure hardware. If we are connecting a normal analogue line, an FXO card with one port needs to be procured, in PCI or PCIe format, depending on the slots available on the server. After inserting the card, it has to be configured. Similarly, if you have to connect analogue phones, you need to procure FXS gateways. IP phones can be directly connected to the system over the LAN. Exploring the PBX further, you will be astonished by the power of Asterisk. It comes with a built in voice logger, which can be customised to record either all calls or those from selective people. In most proprietary PBXs, this would have been an additional component. Asterisk not only provides a voice mail box, but also has the option to convert the voice mail to an attachment that can be sent to you as an email. The Asterisk IVR is very powerful; it has multiple levels, digit collection, database and Web-service integration, and speech recognition. There are also lots of applications based on Asterisk like Vicidial, which is a call-centre suite for inbound and outbound dialling. 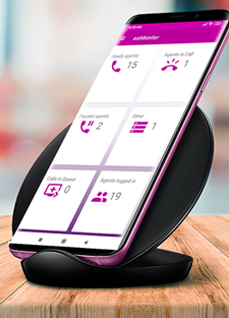 For the latter, one can configure campaigns with lists of numbers, dial these numbers in predictive dialling mode and connect to the agents. Similarly, inbound dialling can also be configured with multiple agents, and the calls routed based on multiple criteria like the region, skills, etc. 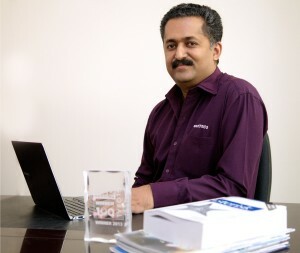 Asterisk also easily integrates with multiple enterprise applications (like CRM and ERP) over CTI (computer telephony interfaces) like TAPI (Telephony API) or by using simple URL integration. O’Reilly has a book titled Asterisk: The future of telephony’, which can be downloaded. I would like to take you through the power of Asterisk in subsequent issues, so that you and your network can benefit from this remarkable product, which is expected to change the telephony landscape of the future.